Lloyd Thayer is a unique performer, the likes of which it is rare to see. 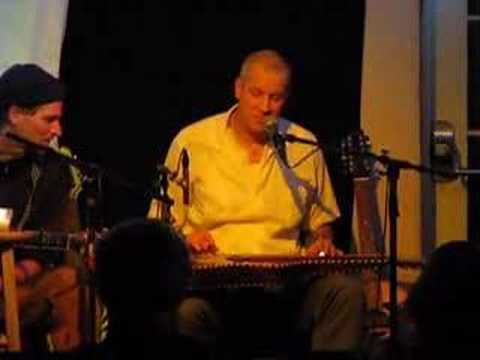 He plays all of his songs on a 1929 National tricone squareneck steel guitar with the instrument laying flat in his lap, fretted with a metal bar. An underground legend from playing on the streets and in the subways of Boston, where his funky style is always sure to draw a crowd, he’s renowned for his extended free improvisations, which incorporate many styles of music including blues, jazz, rap, folk, funk, middle eastern, indian, punk, Hawaiian - often all in the same song!